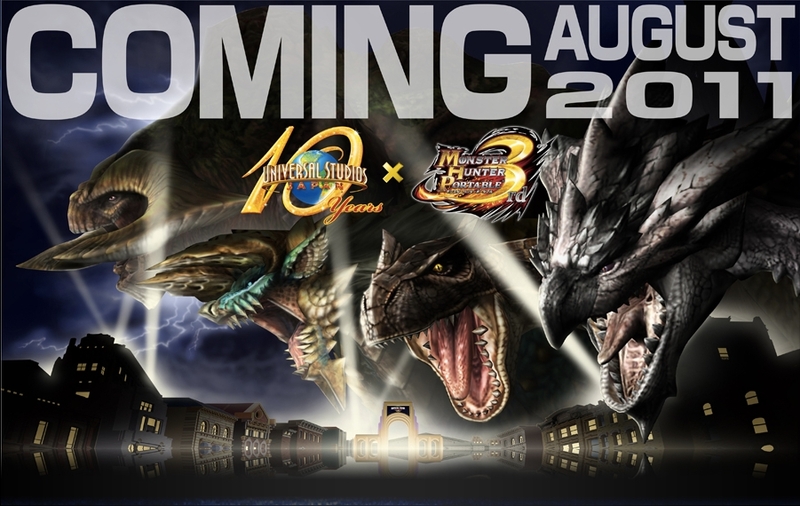 This August, Monster Hunter Portable 3rd is invading Universal Studios Japan. Details are scant, but the USJ event kicks off this August, and there should be recreations of the game's monsters. Monster Hunter has a lot to live up to - namely this. Since Monster Hunter is not a Universal flick, what do MH and USJ have in common? Well, they're both based in Osaka!